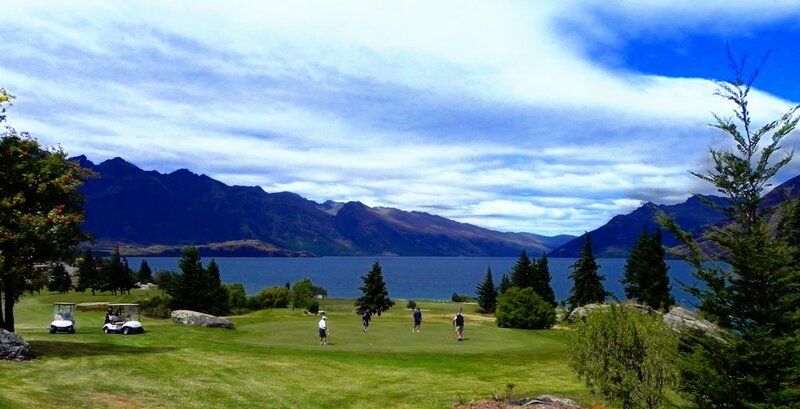 We had a brilliant trip to Queenstown – sunny days, crisp evenings, excellent food, good company and magnificent golf. 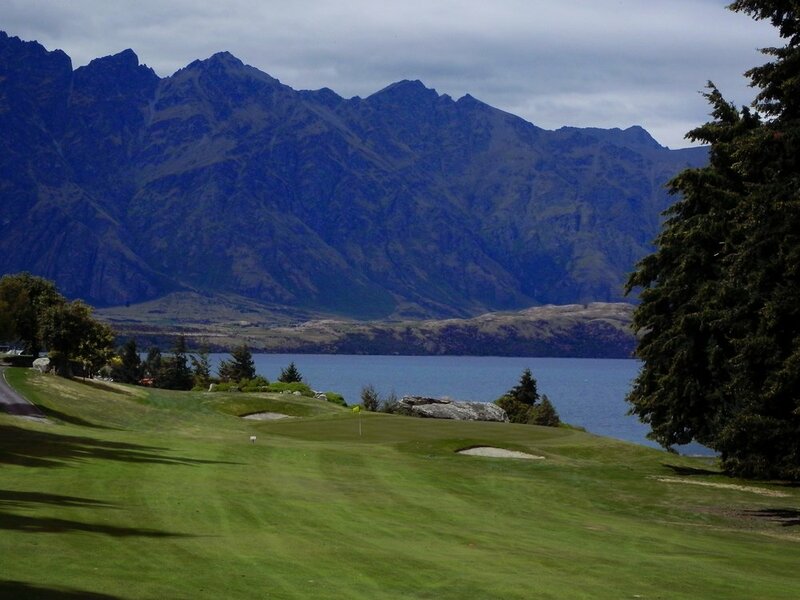 At Jack’s Point, the Remarkables provide a dramatic backdrop to this rugged, wild course with some great views across Lake Wakatipu. The course is designed around the natural environment, with many rocky outcrops incorporated into the fairways. Beautiful dry-stone walls crisscross the fairways, occasionally deflecting shots to unintended landing spots. In contrast to Millbrook, Jack’s Point is not a ‘neat’ course, but rather wild and unruly. It is a unique links style course and is exciting to play - as long as you stay out of the rough. It was well worth a second visit even though it was a little cold and wet for our second game. But we did get to see a long white cloud! Millbrook Resort near Arrowtown, is chocolate-box picture pretty. 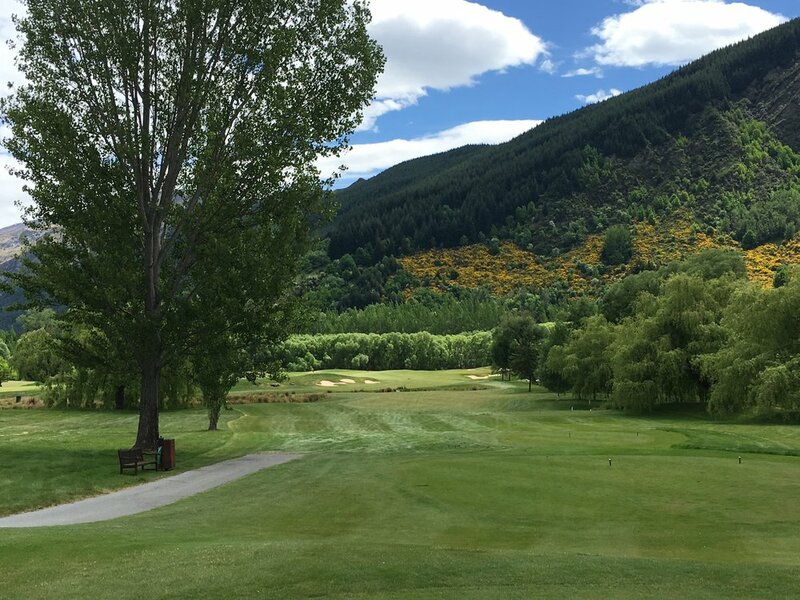 The 27-hole golf course is comprised of 3 nines, the original two, Arrow and Remarkables which are parkland in style and the newer more challenging Coronet nine. We played the Remarkables/Arrow combination. It did not take us long to realise that it was best to tame our drives and keep the ball on the wide fairways as the rough was long and nasty. After golf, the Hole-In-One Cafe was just the place for a filling lunch. 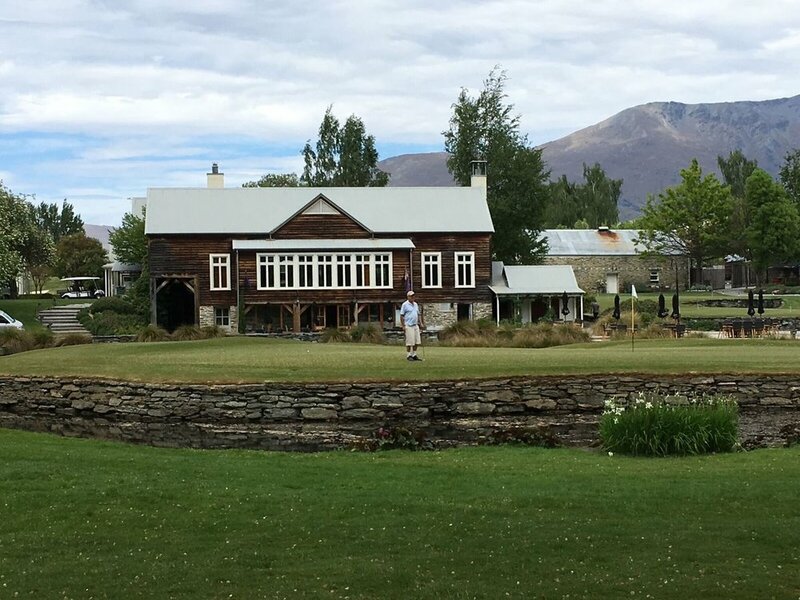 Scenic and picturesque Queenstown Golf Club on the Kelvin Heights Peninsula is surrounded on 3 sides by Lake Wakatipu with the Remarkables in the background. Every hole is exciting and different to the one just played with numerous photo opportunities. We had the bonus of a New Zealand falcon, kārearea, nesting on the 1st hole. The group made sure that they stayed clear of the right hand side of the fairway! The golf shop has just been renovated and a few new cart paths built. We found it the perfect third course to play, within easy reach of the town. 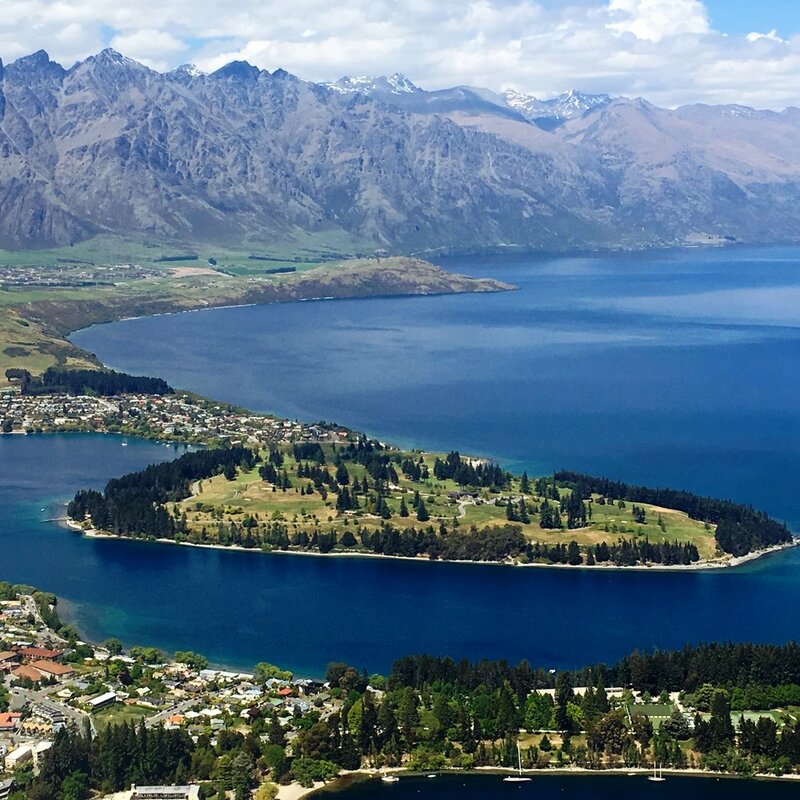 It was not all about golf - we had a free day to explore Queenstown and the surrounds - some went jet-boating, others flew to Milford Sound, others rode the Skyline Gondola and enjoyed a few rides on the luge.